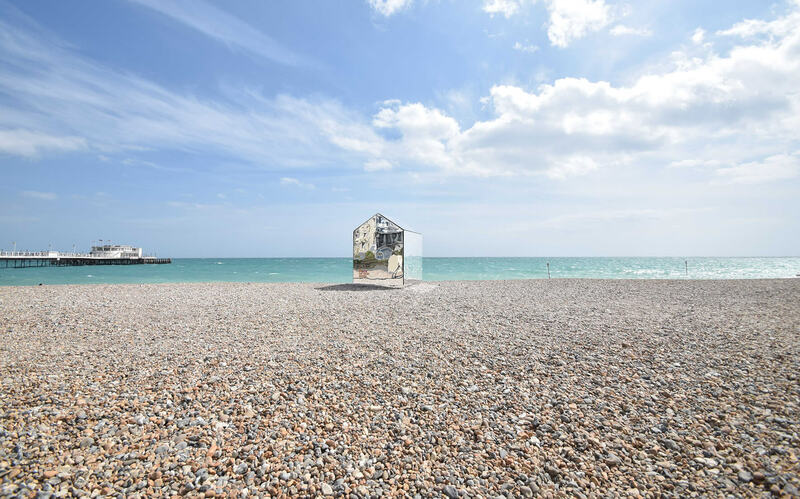 A creative art installation that engaged and delighted the community, taking a classic beach building and giving it a fresh twist. 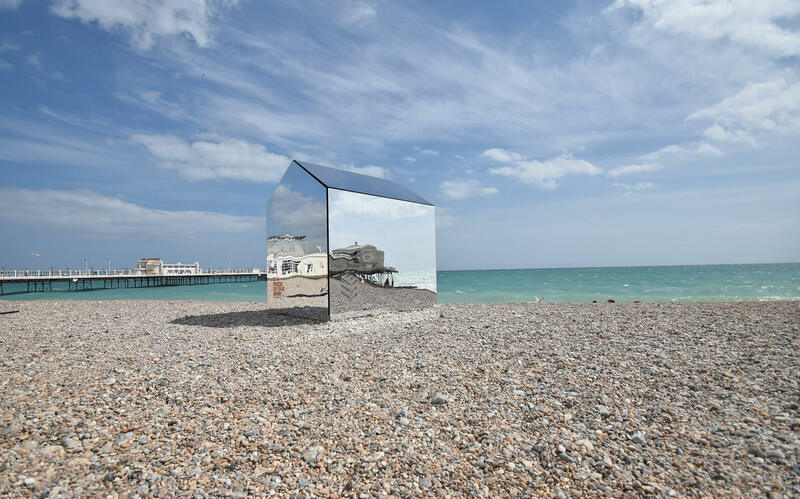 Although it looked like a shiny UFO it was actually the work of local practice ECE Architecture, who wanted to create an art installation that would engage and delight the community. 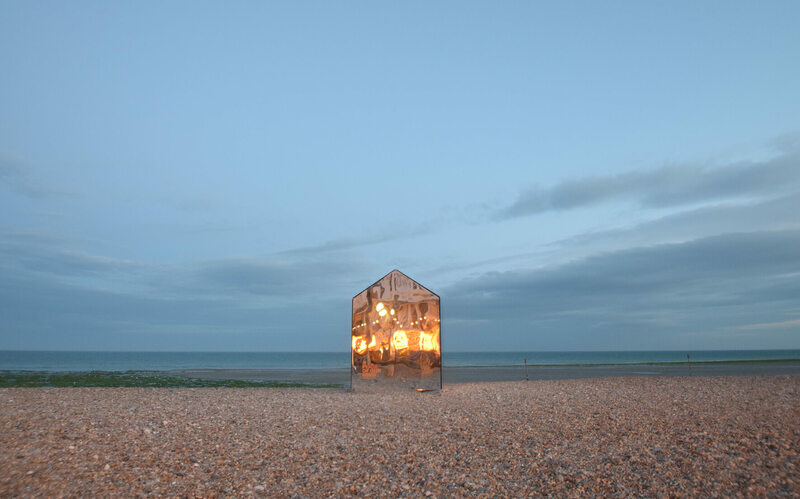 With the help of Mark Sephton from agency Creative Forager, they took a classic beach building and gave it a fresh twist. 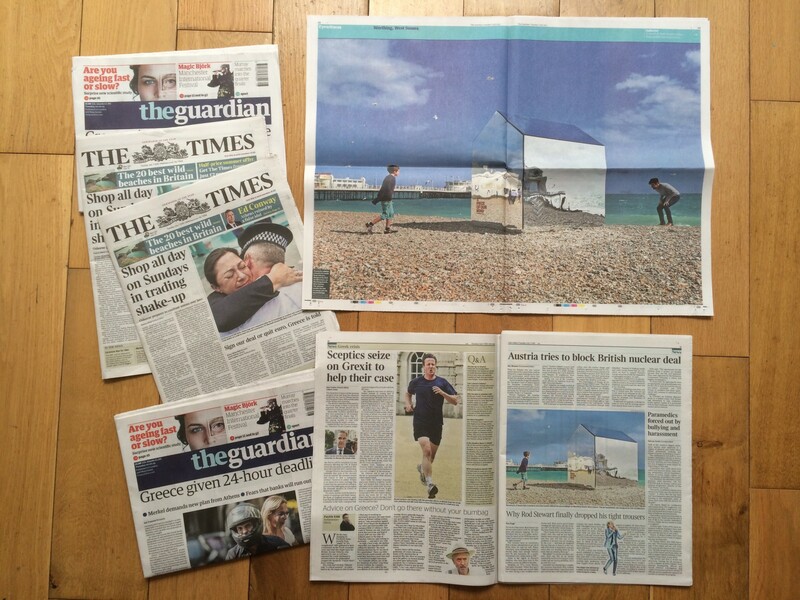 It took a team of ECE staff six weeks to design and build the hut to typical Worthing beach hut specifications. 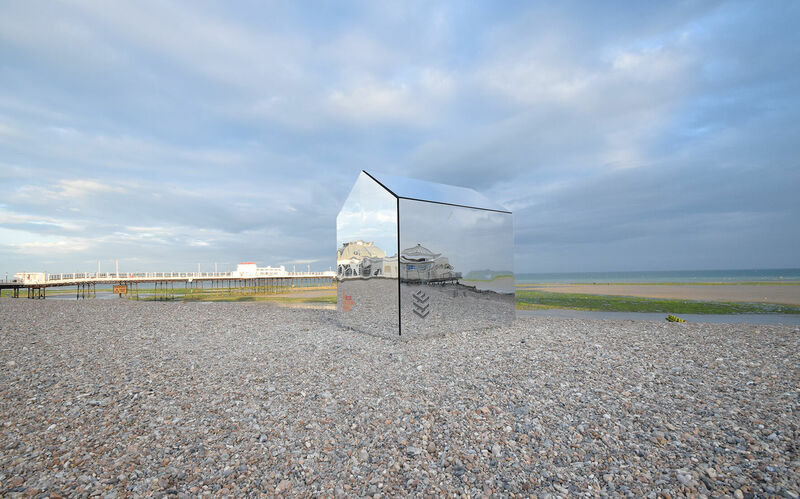 They used laser-cut mirrored acrylic sheets applied to wooden panels finished with dark grey shadow gaps. 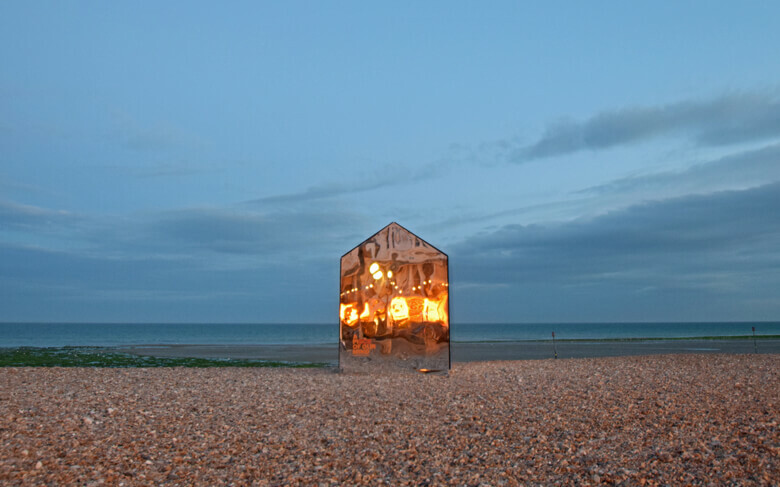 The mirrored acrylic was affixed just hours before joining it all together at 4am on Saturday morning. 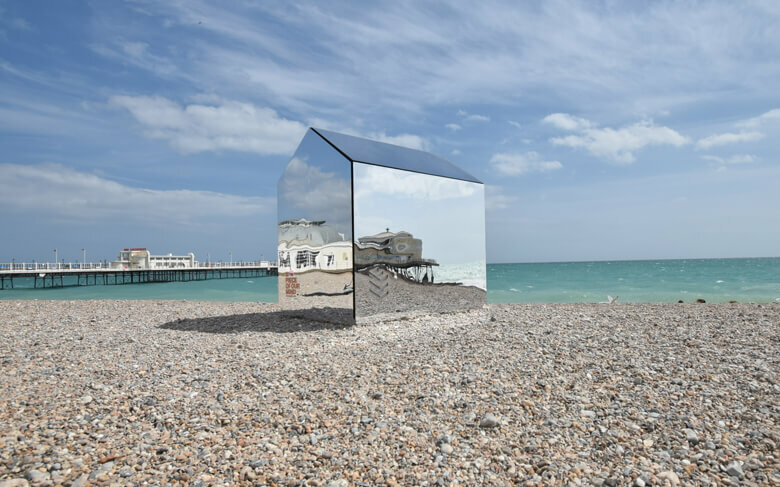 “We have been overwhelmed by the positive response from the design blogs, the national press and the general public – maybe this calls for a permanent installation!”. 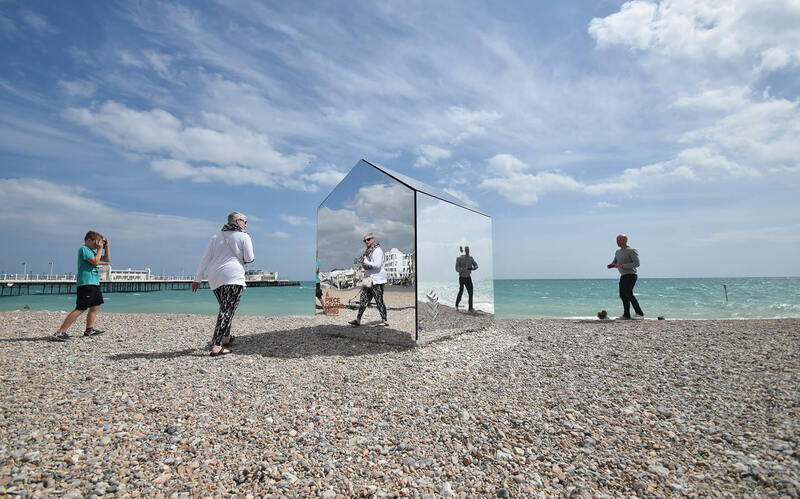 As word of mouth spread, local Facebook and Instagram groups descended on the beach to see what all the fuss was about. 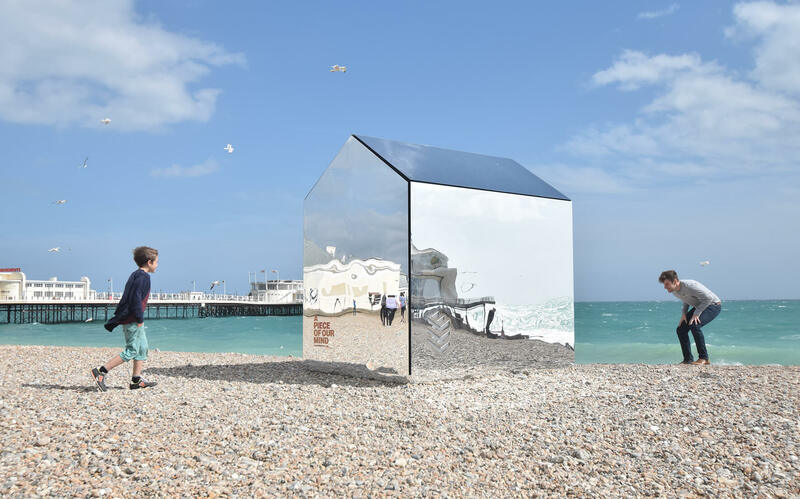 By Sunday afternoon, the mirrored beach hut had created a buzz in the town, filling social media with extraordinary selfies.